The year is 1981. The production for Carl Reiner's Dead Men Don't Wear Plaid is underway on the Universal lot. 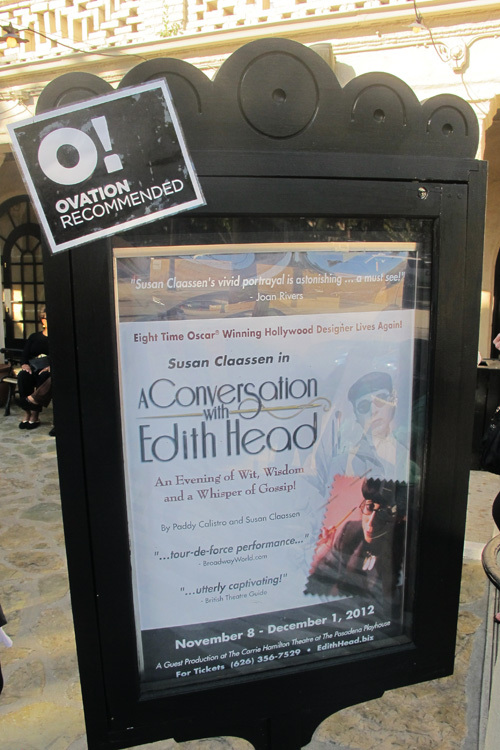 The studio's iconic costume designer--Edith Head--is running late to meet with us. Her attentive assistant, Stuart, steps up and issues apologies to the audience before ticking off notable numbers associated with Ms. Head's career. 8 Academy Awards. 35 Oscar nominations. A 57 year career. Over 1,000 movies. 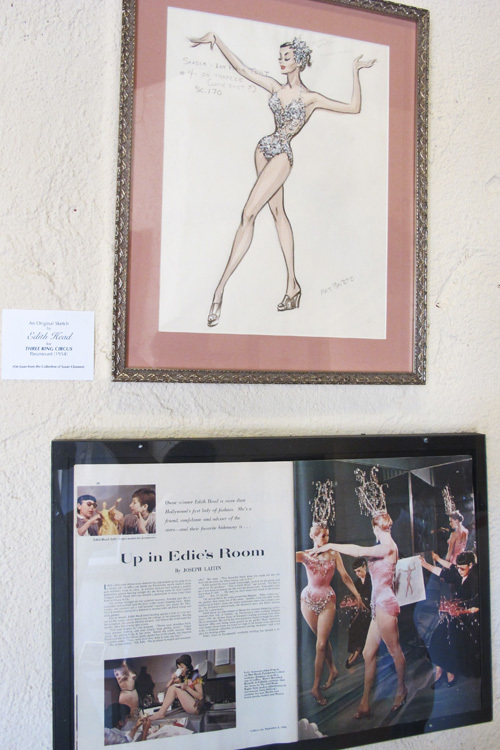 And just as the audience started to sink into our seats to wait, a booming voice from the back of the theater makes everyone jump and suddenly Edith Head has made her way to the stage. 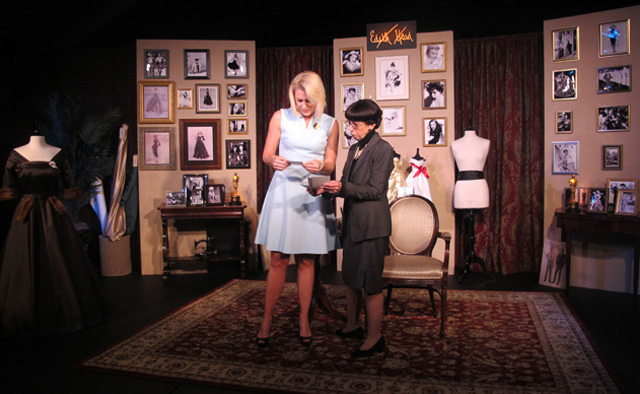 This is how the brilliant Susan Claassen begins A Conversation with Edith Head...taking the audience on a journey to truly meet the master. 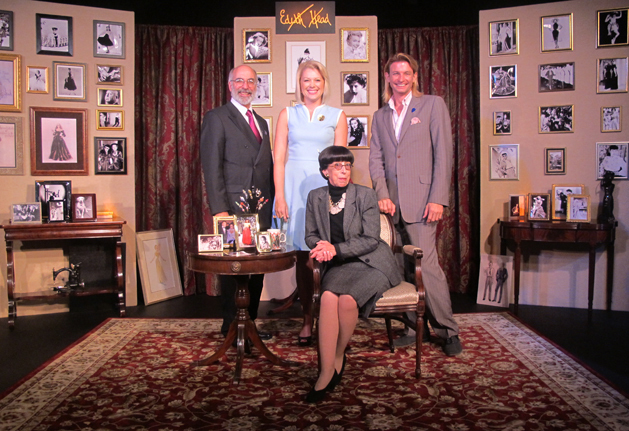 It is impossible to call this one-woman show merely a performance. I mean, the woman completely embodies the enigmatic Ms. Head. From the trademark hair and glasses to the tailored suit on a petite frame, the likeness is striking. 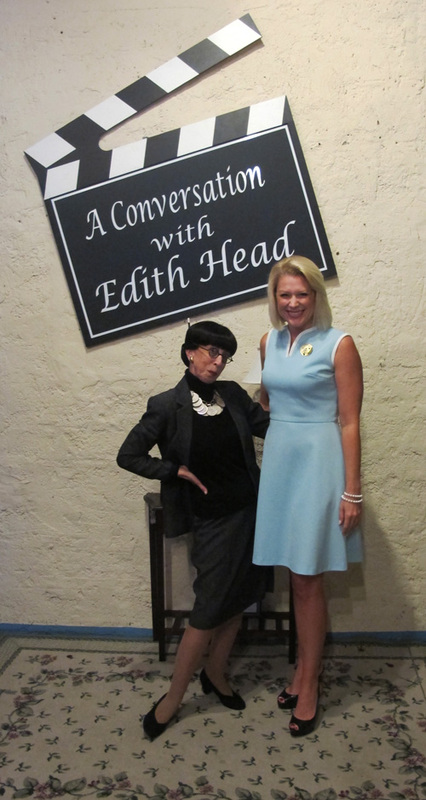 And in creating this show with renowned biographer and fashion journalist Paddy Calistro, not only does Suz know what Edith would say, she also knows how she would say it. 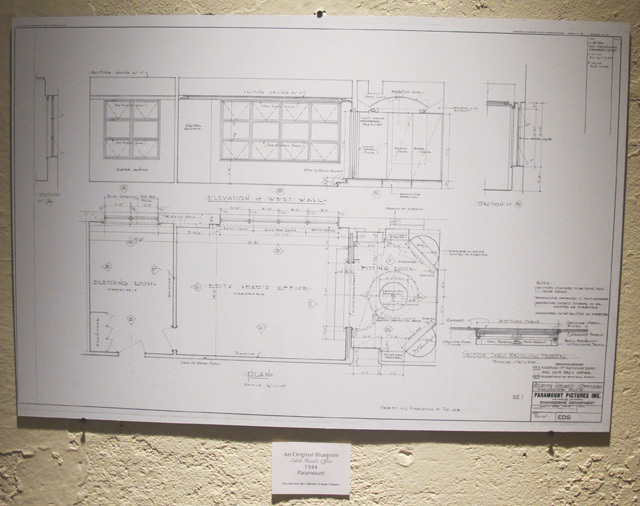 Every moment is based on Edith's own words, including hour upon hour of taped conversation, and speaking with those who were closest to the designing giant. There is an intensity about Suz's performance--whether a moment is scripted or ad libbed--that seems so true to life. 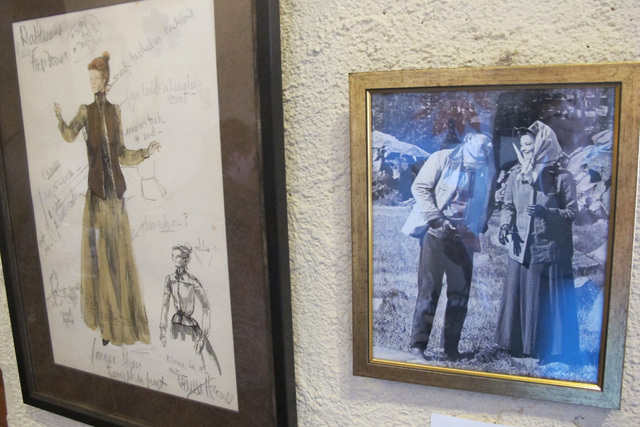 In fact, she channels Edith and takes great pleasure in singling out audience members who are in need of a little style advice...women and men alike. Suz has traveled the world with Conversation, and former colleagues of Ms. Head are regularly in the audience and amazed at the authencity of the performance. 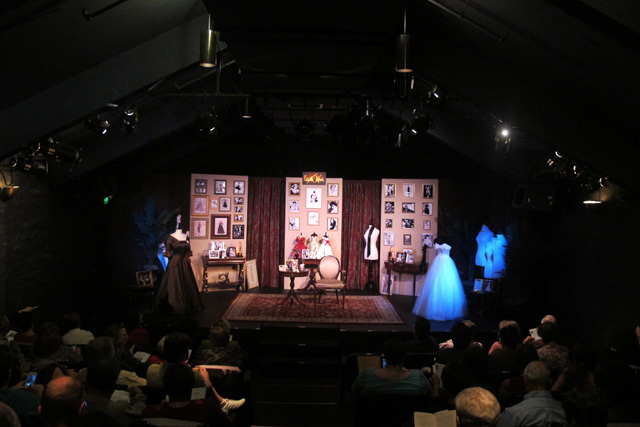 One former assistant, in fact, reportedly froze in fear at the grand entrance of "Ms. Head" at the beginning of the play because it so closely matched his own memory. 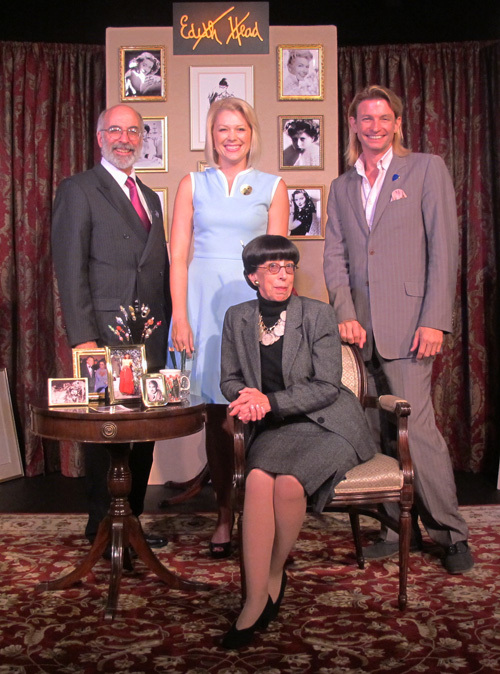 And you can count The Birds star Tippi Hedren among the show's many fans...coming to see it not once, but twice. Conversation is a joy on so many levels. 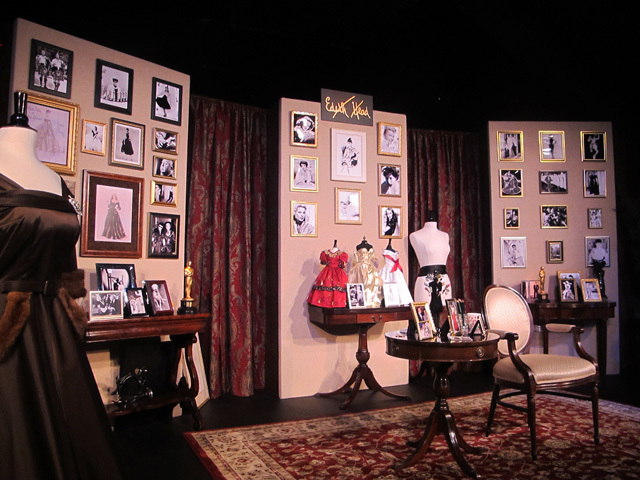 It is wall to wall with stories of Old Hollywood...photos on the set prompt remembrances of the history of both film and fashion. Actresses include Grace Kelly, Audrey Hepburn, Elizabeth Taylor, Barbara Stanwyck, Bette Davis, Mae West, Loretta Young, Clara Bow, and oh yes...the dreaded (Edith enemy) Claudette Colbert. 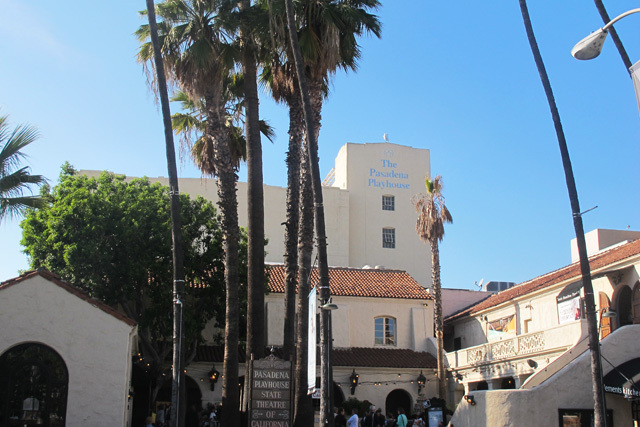 Actors include Cary Grant, Robert Redford, and Paul Newman. Also, there were amusing tales of working with often over-the-top directors like Cecil B. DeMille and Alfred Hitchcock. Believe me, there is more than enough to satisfy even the most studied of cinephiles. But in addition to the humor in these inside stories, the performance is incredibly moving, especially whenever "Edie" reflects on her love for her husband. I couldn't hold back the tears that came to my eyes. 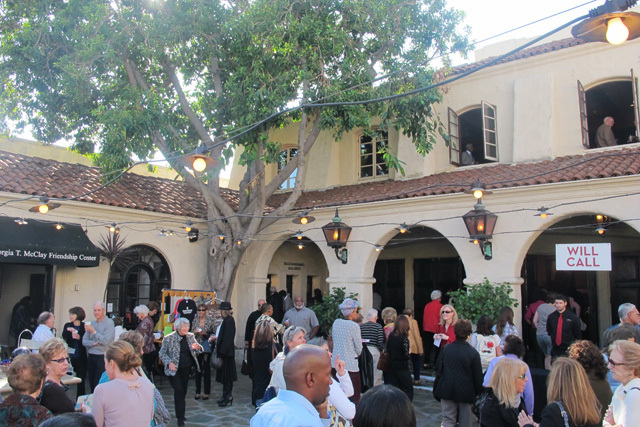 Every moment of my visit to the Pasadena Playhouse was a little bit of heaven. 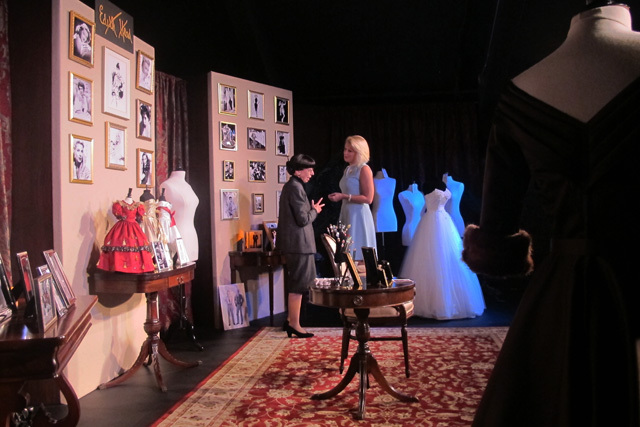 The show was brilliant and everyone associated with it was extremely generous with their time. 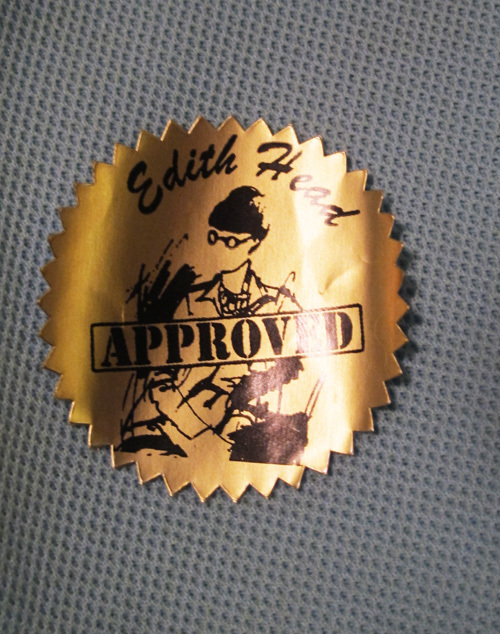 Not only did I meet a new friend and true kindred spirit, but I felt as though I spent an afternoon with my hero, Edith Head. What a gift. Though Edith designed for an unthinkable number of films, she always maintained an incredible standard of quality in her work and a timelessness in her design. Conversation celebrates this legacy. 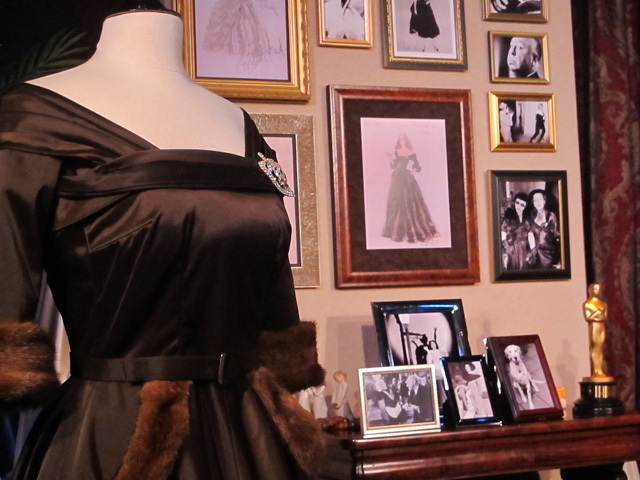 There could not be a better way to get to know this costume designing genius than by experiencing A Conversation with Edith Head for yourself. 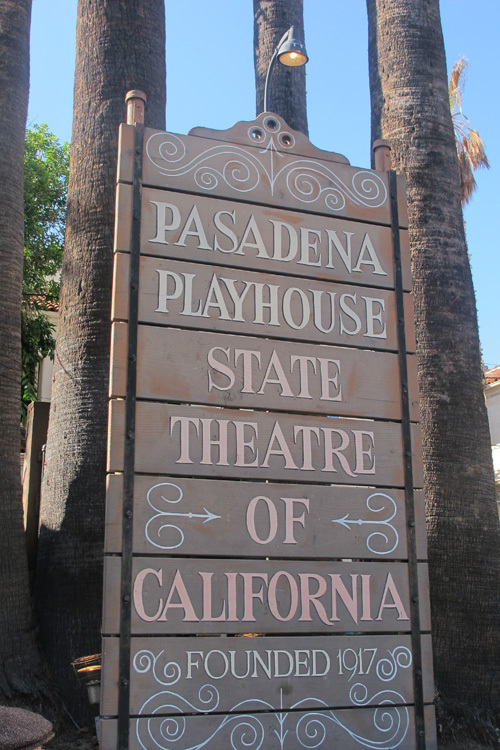 If you live in the Los Angeles area, you can still catch the show at the Pasadena Playhouse through December 1st or in Costa Mesa December 4th and 5th. 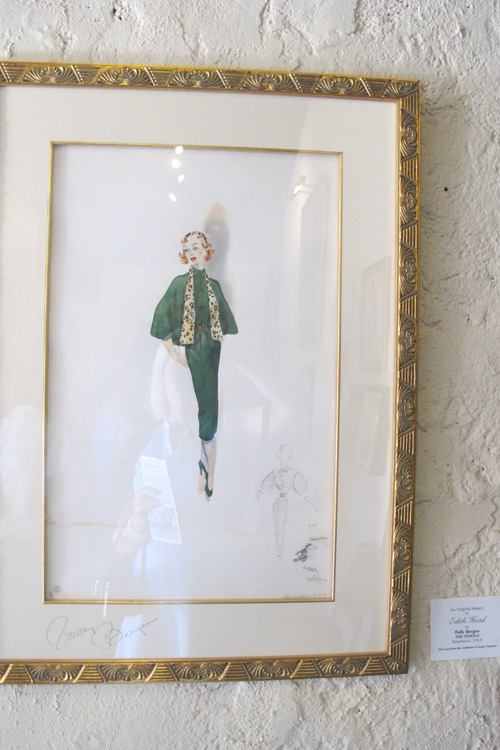 And you can always visit Susan Claassen's site to get her ongoing tour information. See you at the theater! Thanks to Kevin Osborne for the photos of me and "Edith"
Suz is the best. One is transported to 1981, and then earlier, to all those scenes - with just us, the cameras, and all those lovely people out there in the dark. 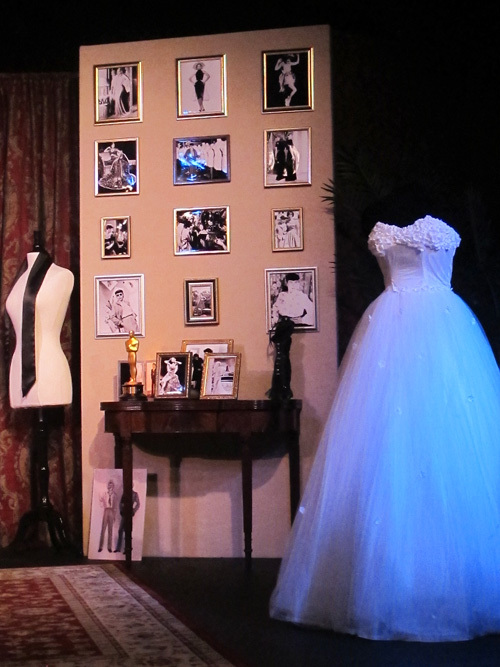 Thank you Kimberly for sharing your heart-warming experience of this wonderful show. She is, isn't she? We talked about how great YOU are, too, Christian. :) I just love everyone associated with the show. 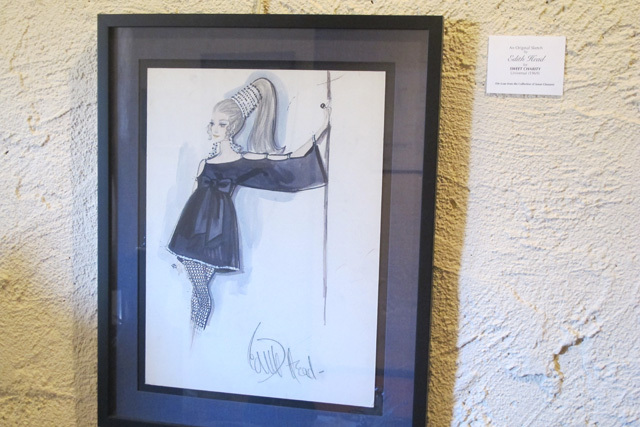 We all have these shared passions as well as recognition of how influential costume design still is today. Anyone who sees this show will get an unbelievable education about Hollywood history and walk away only wanting to know more. The show is such a gift to us all. Oh Stuart...the feeling is mutual! So happy to know you all and love being a part of your fabulous family. 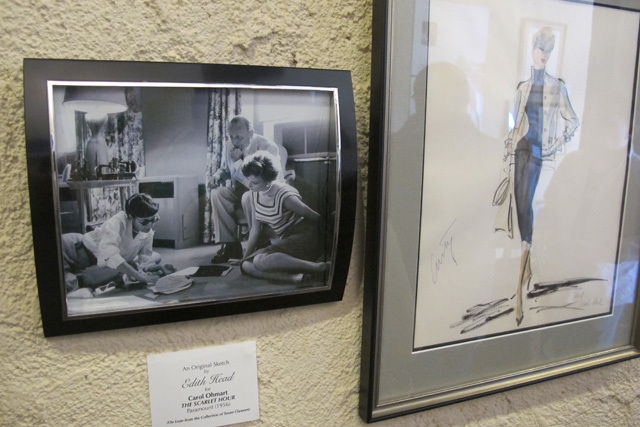 Long live Edith Head! I was so excited about this show after reading your review, that I contacted the tour rep and asked where their 2013 shows may be held. That's so great, Silver Screenings! Ohhhh, it's a MUST SEE. You'll be in heaven about a dozen ways at once. I'm so glad you reached out to them. Can't recommend the show highly enough!